Half lap joints are among the most basic of woodworking joints, but there are times where they are the perfect choice for connecting two pieces of stock. 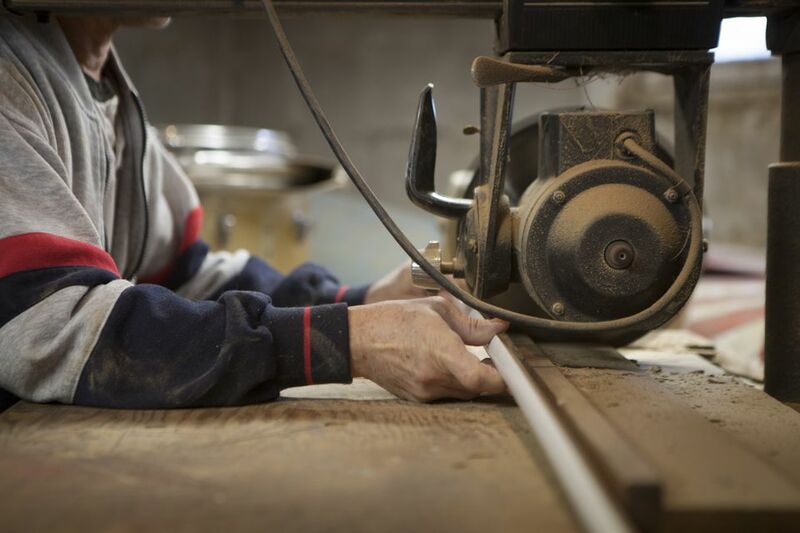 A half lap joint is where two pieces of stock, which are typically the same thickness, have half of the material removed so that the two boards fit together so that the joint adds no thickness at the joint. These joints work well for right-angle connections, especially since both boards have material removed so that they fit together seamlessly. Half lap joints work well when using one to two-inch thick stock, such as in carcasses for furniture pieces such as dressers & desks, especially where drawers will be installed. The half lap adds sturdiness to the internal structure without adding additional height. The half-lap joint can be quite strong when properly used. However, be advised that thin pieces of stock may be weakened by removing half of the material to accommodate the joint, so use this connection only when the stock is thick enough to maintain the structural integrity of the board after half of the material is removed. Some tools can be used to cut half laps, but a favorite is to use a stacked dado set on a radial arm saw. You'll need to use a couple of pieces of scrap wood (the same thickness as the stock you're going to be cutting) to get the depth set just right, but once you have the proper height setting on the radial arm, you'll be able to cut a lot of half lap joints in a hurry. If you don't have a radial arm saw, you can do the same thing with a stacked dado set on a table saw, but it's a bit more difficult to see your cut lines with the cut side facing down. Be sure to use your miter gauge to guide the stock through the blade. You should never use the fence on the table saw for crosscuts, as the fence can cause the stock to bind. When you're ready to assemble the joint, place some woodworker's glue on one of the two mating surfaces. Place the other piece of stock in place, and adjust the two pieces to their final positions. Then, hold the joint with a few wood screws, being certain to avoid protruding the screws through the back side of the joint. The glue will be the strength of the joint, but the screws are necessary to hold it until the glue dries.